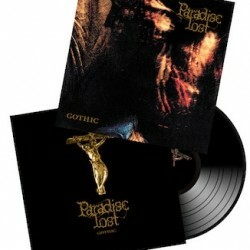 Since their conception in 1988, PARADISE LOST have not only founded the genre gothic metal with 1991’s “Gothic”, but also diligently defined and daringly transcended it. 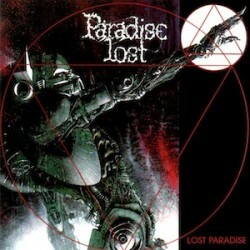 From the crawling, harrowing doom of their debut “Lost Paradise” (1990) to the electronic sounds of “One Second” (1997) over to the dark rocking punch of “Paradise Lost” (2005), the band’s entire career has been accompanied by the desire to evolve and stay ahead of musical trends and fashions. Their first three full-length albums are examples of the death/doom style, although the latter two incorporated some melodic and gothic elements. However, with the release of the seminal albums Icon (1993) and Draconian Times (1995), Paradise Lost also became known as pioneers of the gothic metal subgenre. In accordance with the change in musical approach, vocalist Nick Holmes changed his singing style. He used a death grunt on the band’s first three albums, but on Icon refined his voice to have a cleaner tone. Later (circa 1997), the band began experimenting with electronic styles but after four albums reverted again to gothic metal. Early on, Paradise Lost were inspired by Kreator, Celtic Frost, Candlemass, Death, Morbid Angel, and Repulsion. Up to 1989, the band recorded demo cassettes, then signed with Peaceville Records for their first album (recorded at The Academy), Lost Paradise. Their debut was well received by press and fans alike. In November 1990, Paradise Lost went back to The Academy to work on the second album. 1991’s Gothic (also on Peaceville) was the band’s stylistic breakthrough, eventually becoming an influential album within the extreme metal circles. The album was labelled a “classic” and was rated highly by both fans and critics. The album expanded beyond the original death/doom format by being more melodic and featuring symphonic orchestra and female vocals by Sarah Marrion. With this album the band pushed “gothic” into the metal scene and started a new genre – gothic metal. 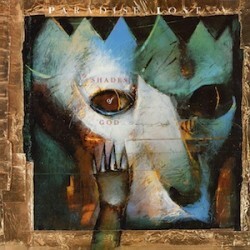 Paradise Lost was signed to the Music for Nations label, and in July 1992 released Shades Of God. The album contained the song “As I Die,” later released as a single/EP. In summer 1993, the band commenced work on their fourth full-length record, Icon which was released on September in the same year. The album hit the German charts at number 31, It solidified the band’s position in the mainstream metal scene. Draconian Times, one of the band’s most successful albums came in June 1995; a limited edition digipack offered a second disc, dubbed “Live Tracks, Demos & B-Sides,” with five live recordings as well as demos and outtakes. 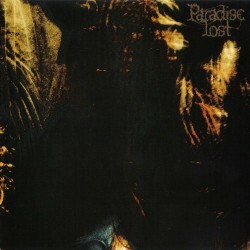 To promote the album, Paradise Lost went on a tour through Europe, South America, Australia, and Japan. On the album One Second (1997), the band began to experiment with Depeche Mode-esque synth pop and electronica. The album turned out to be one of the band’s most important releases, cracking the German and Swedish top ten charts and giving the band a boost in popularity everywhere, it seemed — except the UK. The band later contracted EMI Electrola in Germany for its next album, Host, released in 1999, on which they continued to experiment with new sounds, appearing to shed their metal roots. On the next album, Believe in Nothing (2001), Paradise Lost continued the synth direction, but adding rock elements to the music. In May 2002, the band signed to GUN records, and on the album that followed, Symbol of Life, the metallic roots of the band began to resurface. On 13 August 2008, drummer Jeff Singer announced his departure from the band on the Paradise Lost official website. He wanted to be with his family, had an upcoming job, and the then-upcoming South American tour would interfere with that. As a result, Paradise Lost had to cancel the South American tour dates that they had planned. Soon after, on 28 August 2008, the Paradise Lost official website announced that the cancelled South American tour has been reconfirmed and that Mark Heron from Oceansize would take over on drums. At the beginning of 2009, Paradise Lost recorded their new album with producer Jens Bogren in Fascination Street Studios in Örebro, Sweden. At the time there was no full-time replacement for Jeff Singer and drums were played by Swedish drummer Peter Damin. On 16 March 2009, when the album was already finished with being recorded, the band recruited Adrian Erlandsson (ex-At the Gates, ex-Cradle of Filth) as a full-time drummer for the band. On 18 June 2009, Paradise Lost officially announced Faith Divides Us – Death Unites Us as the title of their upcoming new album, to be released on Century Media Records on 25 September 2009 in Germany, on 28 September 2009 in the rest of Europe and on 6 October 2009 in the US.